Enrol with the Doctors at Ellerslie Medical Centre. Our books are open. Here is our enrolment form – click on the icon – you may print, complete, sign, and scan it. If you’re not using a proper scanner or scanning cellphone app, you may take a photo which needs to be upright, cropped, clear and not grey. Please return it via email (via our contact form below), or fax (09-5256887). 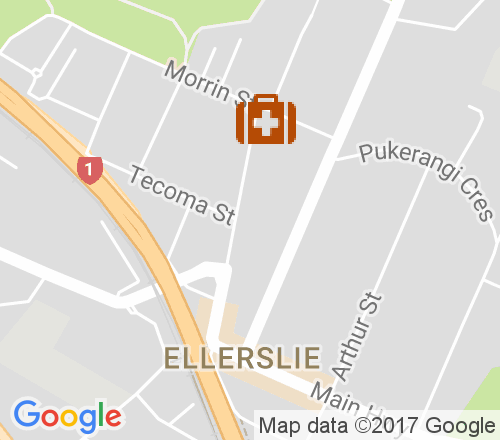 Alternatively you may post (Ellerslie Medical Centre, 41 Robert Street, Ellerslie, 1051) the completed and signed form to us or drop it off in person during working hours. The form includes important medical details, consent for transfer of old GP notes, and our debt policy. Please also include a copy of your passport, birth certificate and any relevant visas so we are able to access Ministry of Health funding for you. We realise this is inconvenient for you, but please understand that we are required by Ministry of Health to follow this for every enrolment. Without proof of eligibility we cannot apply for the subsidised rates and we are not able to prescribe funded medication or order funded laboratory investigations. Our practice belongs to the Procare PHO (primary health organisation). We currently are transitioning from a purely walk-in service to a mixed walk-in queue and appointment system. For walk-ins the wait is usually around 20-30 minutes to see the doctor on duty for this service (may be longer during the winter flu season), and it may not be possible to see your preferred doctor on a walk-in basis at your preferred time. We recommend that you make an appointment if you want to be sure to see your preferred doctor and avoid waiting. If you don’t mind which of our doctors you see, and a possible wait, there will always be a doctor on duty (not necessarily a female doctor) offering a walk-in service. If you want to know on a specific day what the waiting time is like for our walk-in service, and who is on duty, please feel free to call and ask our reception team for an estimate of your waiting time. You are able to book 15 minute appointments (one patient only per 15 minutes) on-line through our patient portal or by calling us. Appointments will take priority over walk-ins, but if you are late, you will join the walk-in queue. If you wish to book a double appointment (at a double fee), or two appointments for two family members, please phone our reception team to arrange this. We also offer appointments for minor surgery for skin lesions, Zoledronate and Iron Infusions, and 6 week baby checks and immunisations with our nurses. The transition to a flexible appointment/walk-in model may be a little unsettling so we ask for your patience while we work on delivering a better service. We promise to have at least one doctor on for walk-ins at all times so you will still be able to see one of the doctors without an appointment. I agree that this message does not require a doctor's input, and is for reception staff only. k) Is a Commonwealth Scholarship holder studying in New Zealand and receiving funding from a New Zealand university under the Commonwealth Scholarship and Fellowship Fund.